When it comes to hiking, it is never too cold to venture out. However, while you may always be up for an adventure, you should do what you can to keep warm in cold conditions. In this article we’ll show you how to keep your feet warm when hiking in winter. 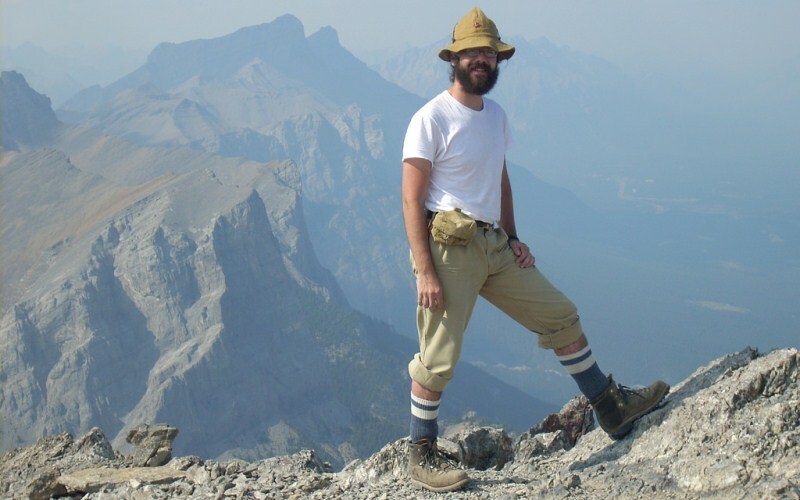 When embarking on a hike in the winter, many people have a tendency always go for the thickest socks possible that would still allow them to put their shoes on. Unfortunately, while their socks might be thick, they typically wind up with cold feet. While it would seem that wearing thick, warm socks would be effective, if the socks are too thick, your feet will sweat. The sweat from your feet will cause your boots to become wet, ultimately causing your feet to be cold. The sweat and friction can also lead to blisters on your feet. When considering how to keep your feet warm in cold weather, it is a good idea to layer, much like you do when it comes to your clothing. First, start with a lightweight wicking sock which will keep your feet dry. Wear a lightweight wool sock next and if necessary add a mid to heavy wool sock as a final layer. Avoiding sweaty feet is key to making sure that your feet remain warm when hiking in the winter. When determining what is the best way to keep your feet warm when hiking in the winter, the type of shoes or boots you wear is important. Choose footwear where the upper is made of leather or another material rather than mesh, as the full coverage will help keep out the wind and cold. The shoes should be big enough so that you can layer your socks and still wiggle your toes. Without proper room, your boots will be tight and you will limit the circulation to your feet, causing them to be cold regardless of the protection offered by your shoes. When purchasing boots that will be used for cold weather adventures, we recommend choosing a pair that are a full size larger than what you would wear in warmer weather. This will allow for plenty of room for layered socks and inserts. If your toes are still cold despite having shoes that offer protection from the elements, toe covers may be helpful, particular for hikes in windy conditions. Use a windproof material like neoprene and place it over your shoes for added protection. For an economical version, you can use plastic bags that will either fit over your shoes or between sock layers. The plastic bags will keep your feet from getting wet (it is important to note that these are not a long term solution as your feet will sweat and the bag will stop air from dispersing). 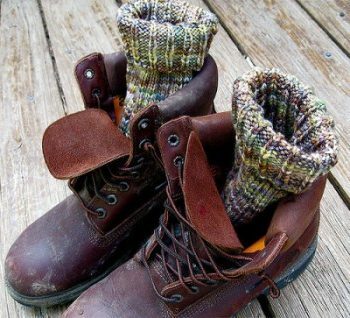 Adding warmth to your shoes is another option. Warming inserts are great for keeping your feet toasty for an extended period of time. Many people are familiar with the disposable warming inserts that can warm your feet for hours at minimal cost. Heat is lost by standing on cold surfaces through conduction, as well as through cold air above the surface and around your feet (convection). Thus, adding an extra insole into your boot can be a big help, as it will limit the heat lost as a result of stepping on the cold ground. By purchasing a sun shade at the dollar store, you can create your own custom inserts that will not only provide additional insulation from the cold ground, but will reflect your body heat back to you. With a myriad of options available to help you keep your feet warm in cold conditions, you don’t have to miss out on hiking during the winter months. In fact, you will find that hiking in the winter is not only comfortable, but can be an enjoyable experience to look forward to.